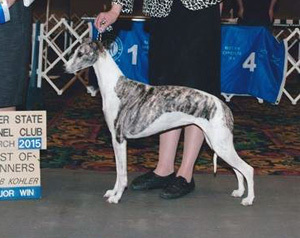 "Kenzie" finishes in March and goes BOS at the Southern CA Whippet Association in May! 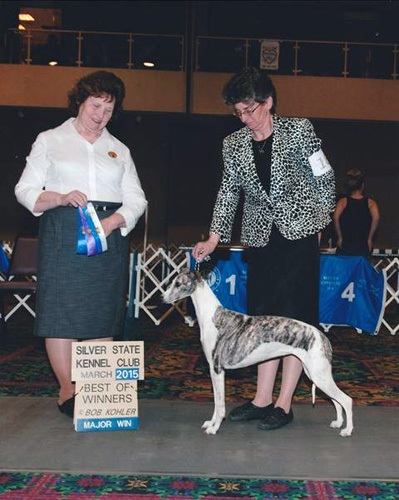 Kenzie is the 8th Champion to finish from the famous cross of Ashton to Ch. Oxford’s Dynasty. 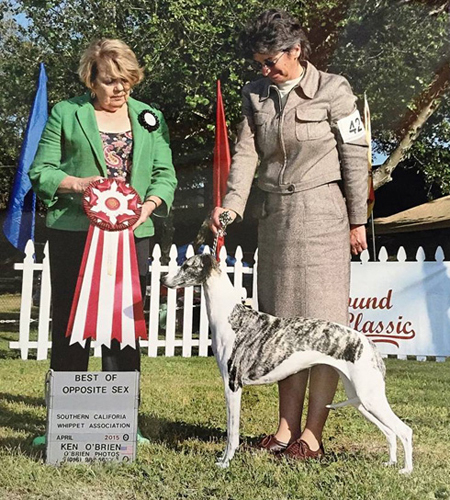 This cross has produced 2 Best In Show winners and 3 Specialty winners, and now Kenzie adds to the illustrious record with Best Of Opposite in a lovely entry at the Southern CA Whippet Association Specialty under Luann Williams. So proud of this girl and how she has matured!